Forget adult-colouring and yoga, trainspotting has now been heralded as a mindfulness technique to promote wellbeing. With the trend for health and wellness on the rise, many people are on the lookout for activities and hobbies to enrich their lives and positively affect their wellbeing. And surprisingly enough, the once geeky pastime of trainspotting has been heralded as the perfect way of practising mindfulness meditation. Clinical Psychologist Dr Saima Latif, who is trained in mindfulness techniques, has found that trainspotting is an excellent de-stresser as the rhythm and process of the hobby allows our fast-paced thoughts to subside. “Most people associate mindfulness with yoga, however taking up trainspotting can also be a really successful way to embrace this therapeutic process. By involving yourself in a pastime that has a clear goal you help to focus the mind on the present task in hand, which in turn helps to focus your thoughts and relieve stress. 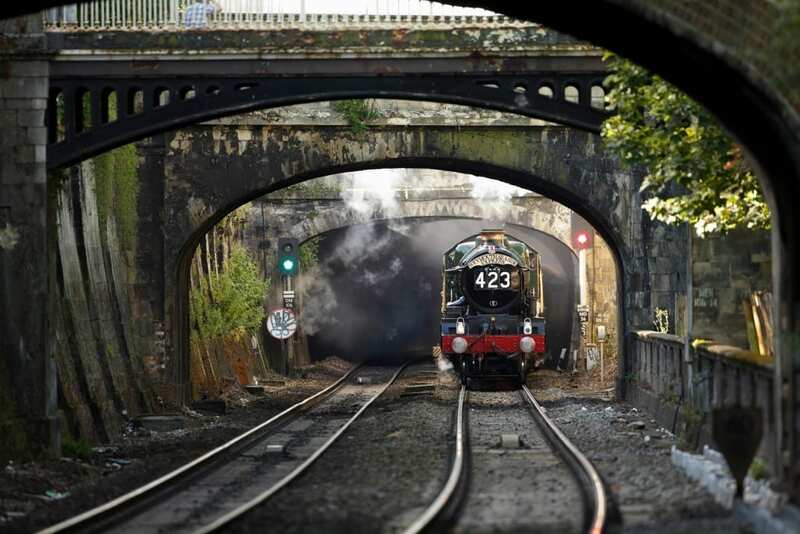 This surprising news of the wellness benefits of trainspotting is extremely timely as one of the biggest events in railway history is about to occur in the UK. 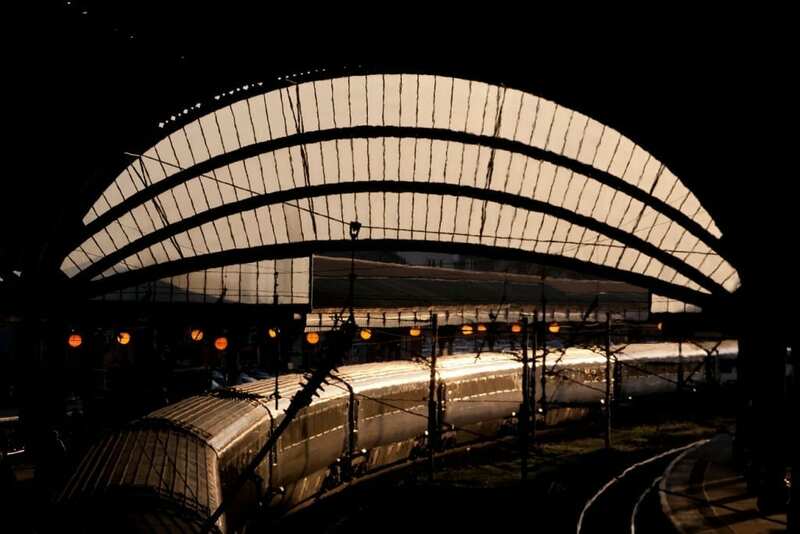 On Thursday 25th February the Flying Scotsman will be returning to the rails, making its inaugural run between London King’s Cross and York, so it’s the perfect time to ditch the yoga and try out trainspotting as a way to keep your mind clear and focused. Premier Inn has created a trainspotting hub which provides key information for trainspotting novices on how to begin trainspotting, why it’s so beneficial for your wellbeing and where are the best places to enjoy a trainspotting break in the UK. Rather than piling onto the 7.30am to join the busy rush hour commute with all its associated stresses and strains take a step back and look again – particularly at that trains number! Psychologist Dr Saima Latif has recently found that the act of trainspotting can actually help to relieve stress and improve emotional functioning. In fact, trainspotting can even be used as a mindfulness technique! OK – so it might be wise to take a few days away from the office to really feel the benefits of trainspotting but with a number of truly beautiful spots, at which to spot, all through the UK – now is the time to start practising. 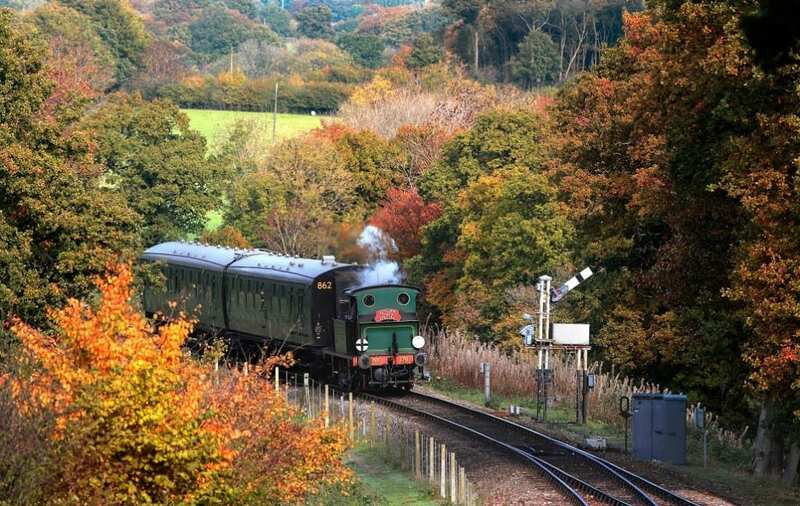 Looked after by volunteers for over 50 years and snuggled along the border of East and West Sussex, the Bluebell Railway is the perfect place to start a hobby in trainspotting. For those keen to take it up, the centre is renowned for its fantastic collection of vintage carriages all waiting for the avid ‘spotter’ to view. The area also boasts a number stunning walks along the railways line which to enjoy. Just to note – the final stop of the line is Sheffield Park which boasts a National Trust with a timeless Capability Brown garden. Glenfinnan Viaduct will make you see trainspotting in a totally different way and against the backdrop of the Scottish Highlands. 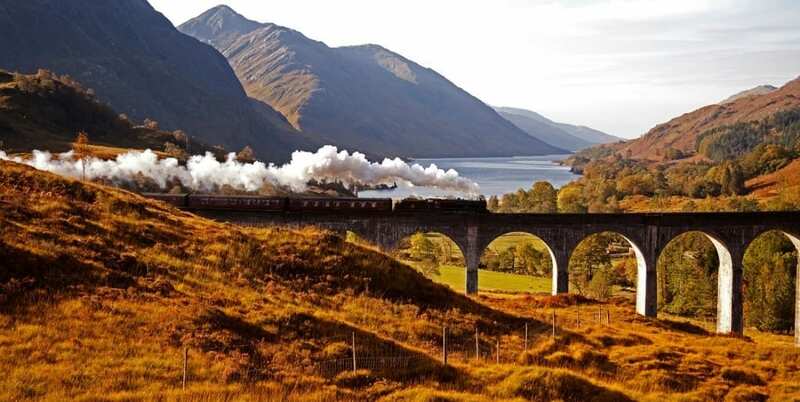 A point of note is that the track was famously used for scenes of the Hogwarts Express in the Harry Potter films and there is certainly something magical about taking in the majestic Jacobite steam train. Try out walks and trails around the track for all levels of experience and if you catch the train bug pop to Glenfinnan Station Museum to brush up on your locomotive history. If you are in the area on Thursday 25th make sure to keep your eyes peeled for The Flying Scotsman which will be rolling into York station on its inaugural run (and don’t worry if you miss it, the steam great will be at the National Railway Museum for the coming months). However! In general York provides a great environment to try out trainspotting and its wellbeing benefits. 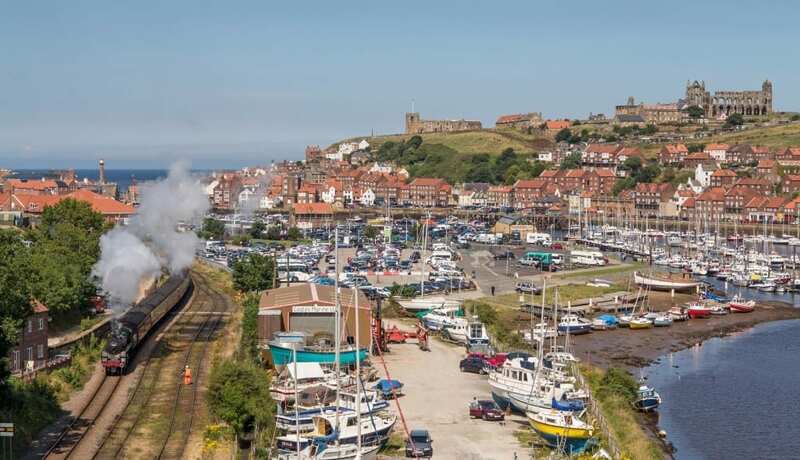 One of the UK’s key station York is blessed with impressive Victorian architecture perfect to see for a first time train spotter..
Whitby in Yorkshire is a typical picturesque seaside town which boasts an equally picturesque railway line. Running beside the River Esk down to the pretty port, is a great focus for any new trainspotter. For perfect views head to New Bridge where you can see the beauty of the railway come alive beside fisherman’s boats, Whitby Abbey and the sea. 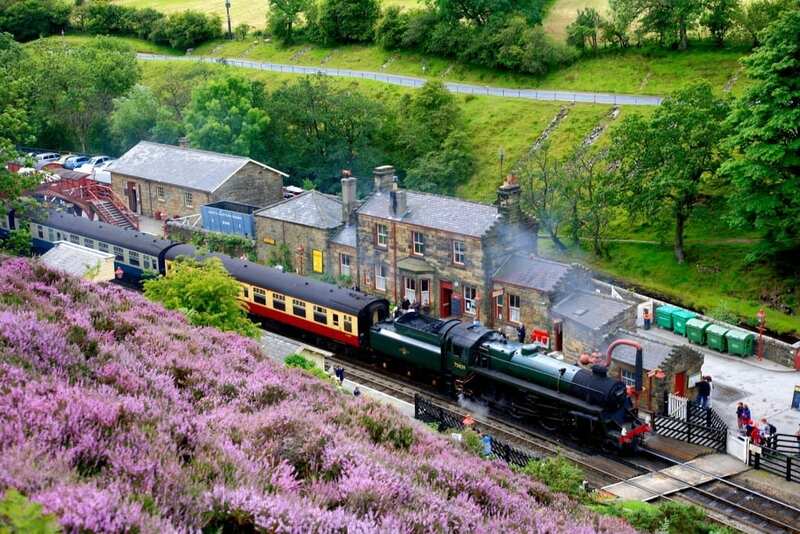 A point of note, and something to look for, are the heritage trains, part of the North Yorkshire Moors Railway, which run every day. Strolling through the North York Moors National Park, it’s rare not to hear the whistle of a steam engine from the North Yorkshire Moors Railway in the distance. The line, which runs all the way to Whitby, winds its way through the breath-taking landscape of Yorkshire in amongst the moors. For the perfect view of the line, and those all important train numbers, Head to the Skelton Tower at Corn Hill Point. This small coastal town, within the Snowdonia National Park, features not one but two historic railway lines. 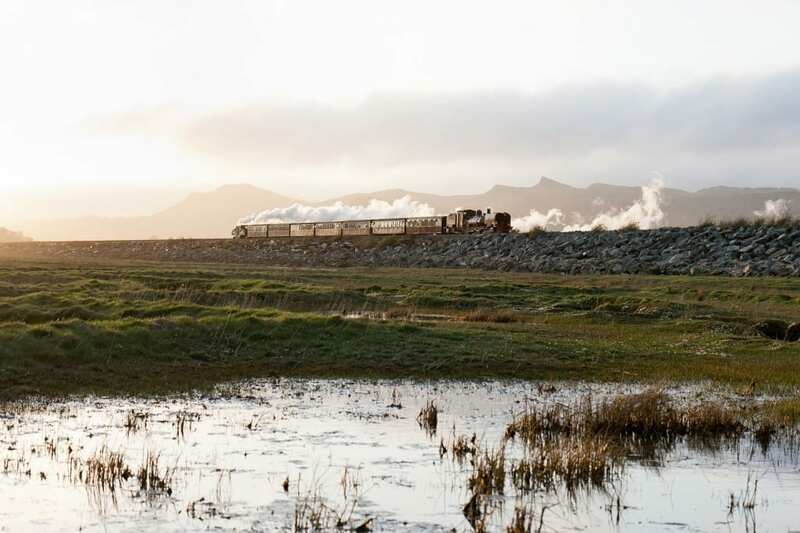 Both the Welsh Highland Heritage Line and the Ffestiniog Railway are idea railway lines to trainspot at as they both offer impressive trains from our transport history. Couple this with the stunning Snowdonia terrain and you have the perfect place to embrace the wellness benefits of trainspotting. What could be more tranquil for those in search of some mindfulness than the gentle sound of the River Dee coupled with the calming ‘chug’ of a steam train? Enjoy this delightful experience by heading to the chain bridge in picturesque Llangollen (an Area Of Outstanding Beauty). 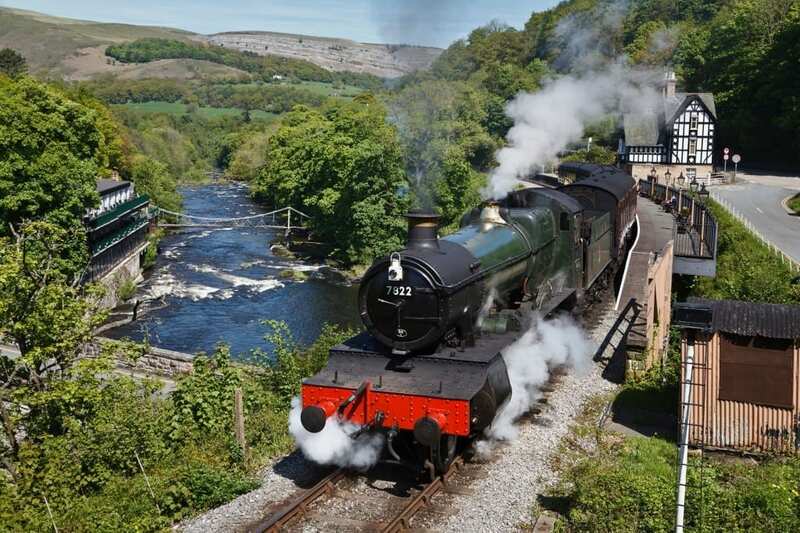 It will provide you with the perfect vista of the Llangollen railways line where you can spot an array of impressive steam trains. 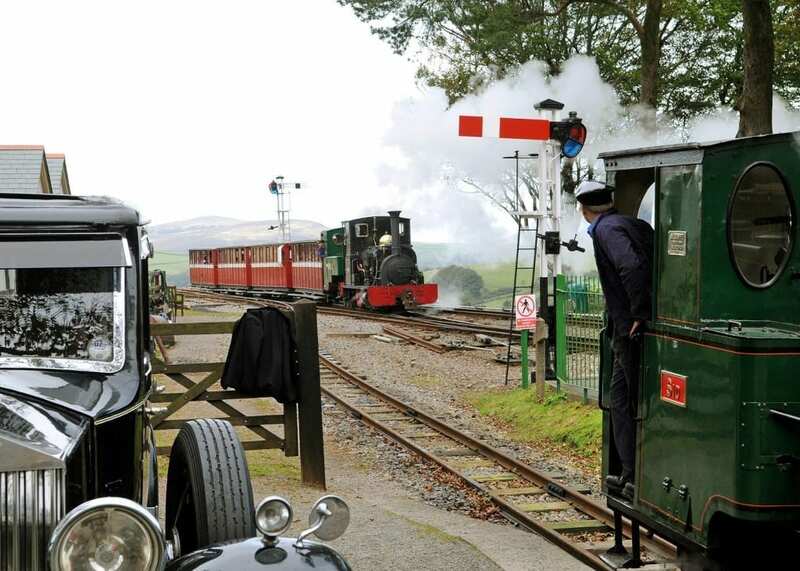 Another National Park with great trainspotting credentials, head to Woody Bay station for a great place to see the Lynton & Barnstaple Railway. For the interest of rail fans, it boasts a single track, narrow gauge railway but for trainspotting novices it offers stunning views of Exmoor and impressive trains from a simpler time. If you find yourself in beautiful Bath and feel like trying out the mindfulness techniques of trainspotting, head to Sydney Gardens. Not only do they offer the chance to explore the historic gardens but it’s the perfect place to position yourself to see the trains roll in to Bath Spa Station. Post s’spot’ why not pop to the Pump Rooms for afternoon tea from a bygone time and to count the number of trains you spotted! Toddington’s station still retains its vintage charm and as you stand on the platform you can often feel as if time has stood still for decades. 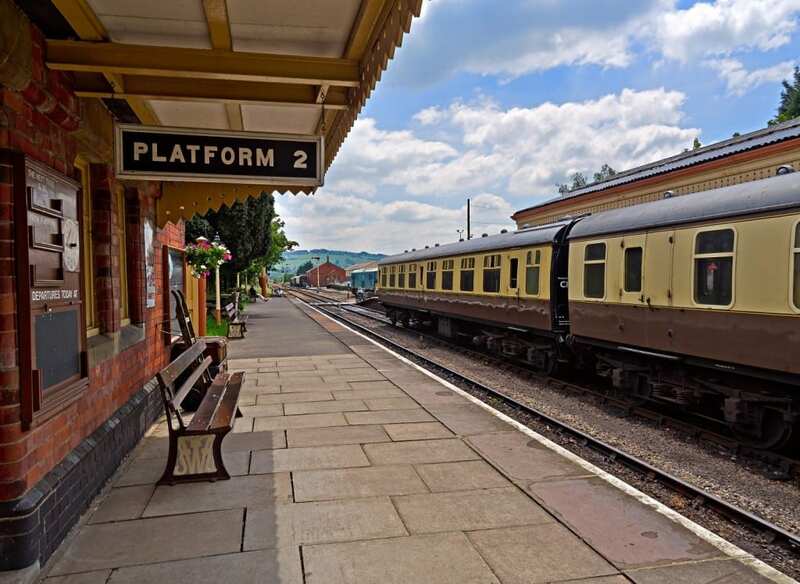 As part of the Gloucestershire & Warwickshire Steam Railway, its countryside location provides the perfect atmosphere for a spot of mindful trainspotting and make sure to pick up a guide to local ‘Railway Rambles’ at the station to enjoy even more of the Cotswold’s scenery. It’s ‘Flying Scotsman’ for the loco – without the definite article. The ‘TRAIN’ has ‘The’. Get it right! Almost anywhere that is lonely is perfect – to be alone with one’s thoughts waiting for a train to pass is priceless. The loco has already travelled two millon miles – about the same as Tim Peat in space. The fireman on the London-York run will shovel about five tonnes of coal. On Sky News the sports presenter said she wasn’t interested in the loco. The real athlete is the fireman, not her favourite, Roger Federer.